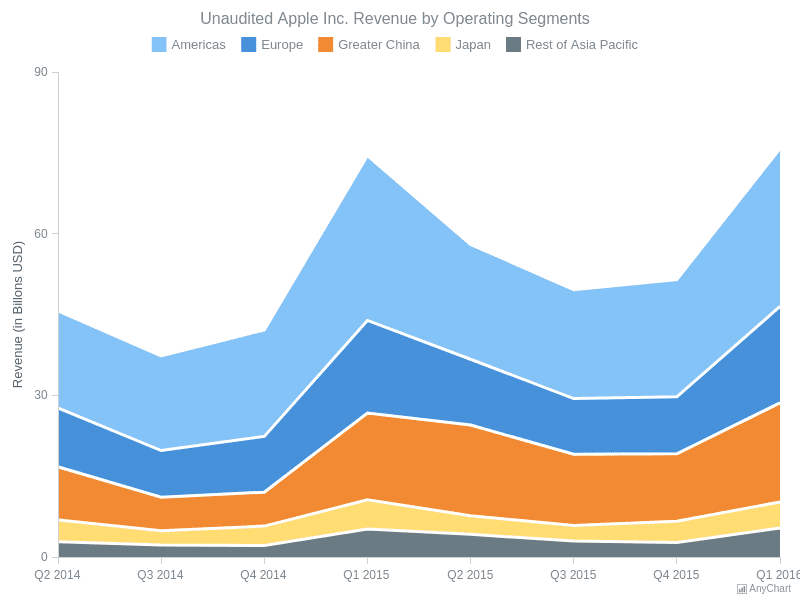 100 Percent Stacked Area Chart100% stacked area chart displays the revenue from several products in several regions. Percent stacked mode helps to compare the percentage value each part of the category brings to the category. 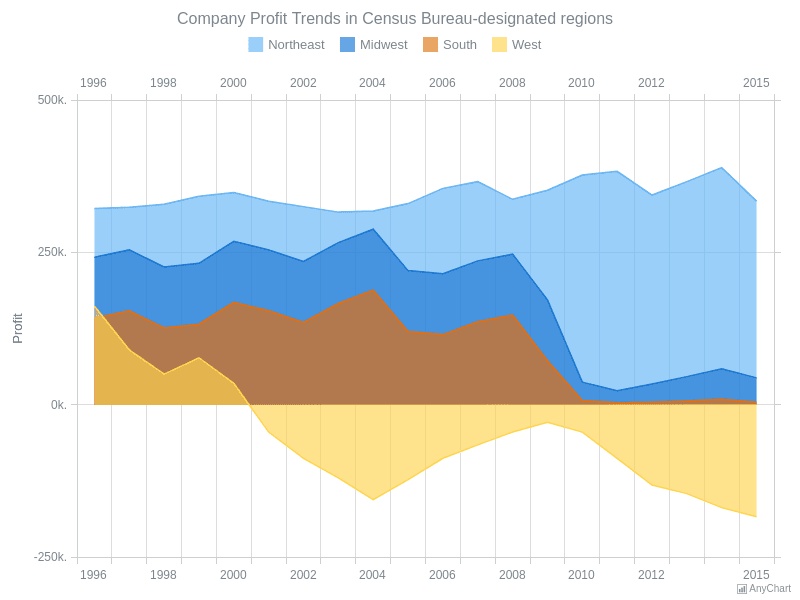 Area Chart with Negative ValuesArea chart with negative values shows profit trends in Census Bureau-designated regions for a company. 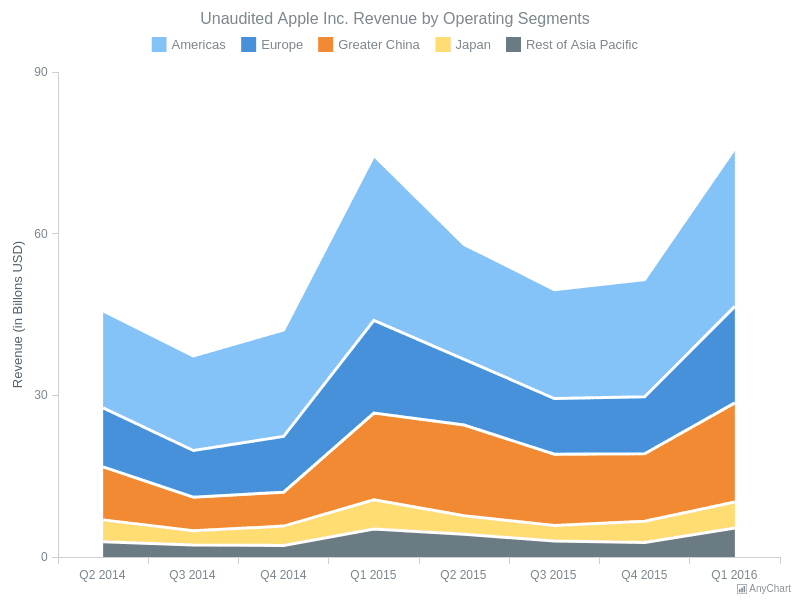 Negative profit of the series indicates unsuccessful years. 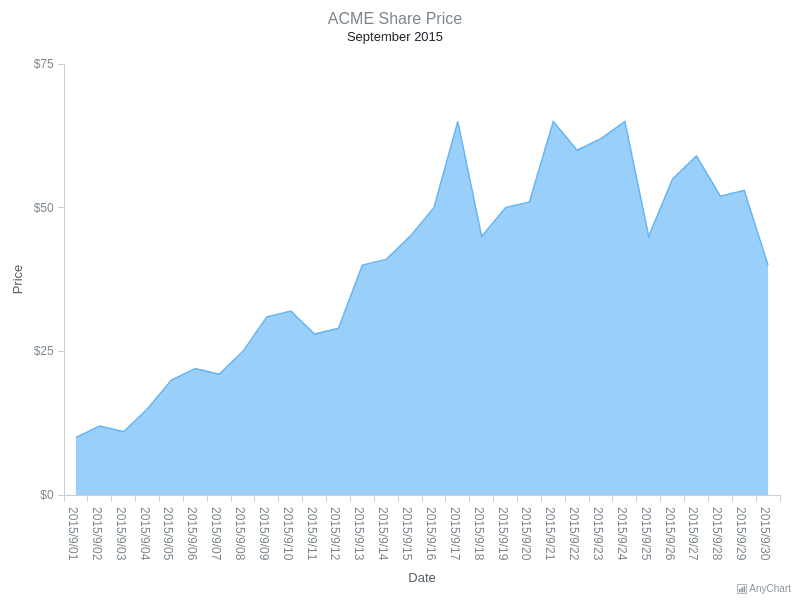 Single-Series Area ChartSingle series Area Chart visualizes share prices for one month. 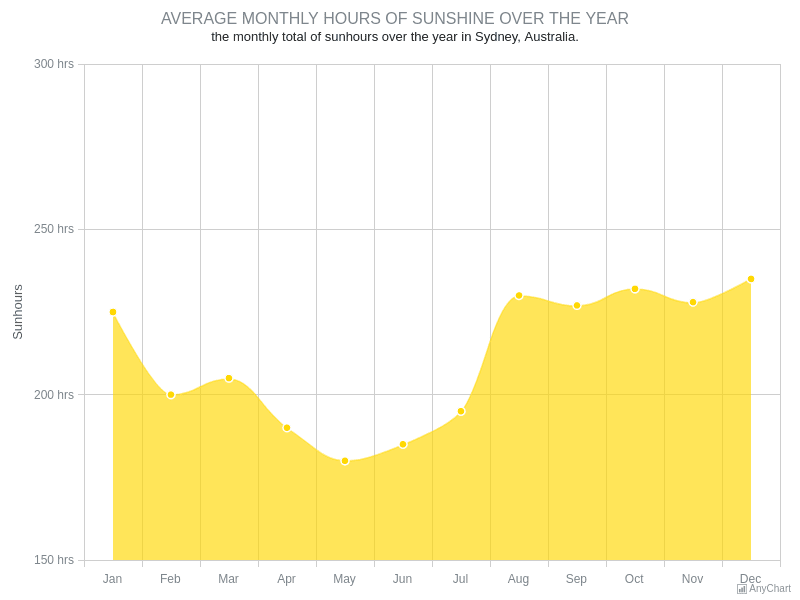 Each point represents a day of the month. 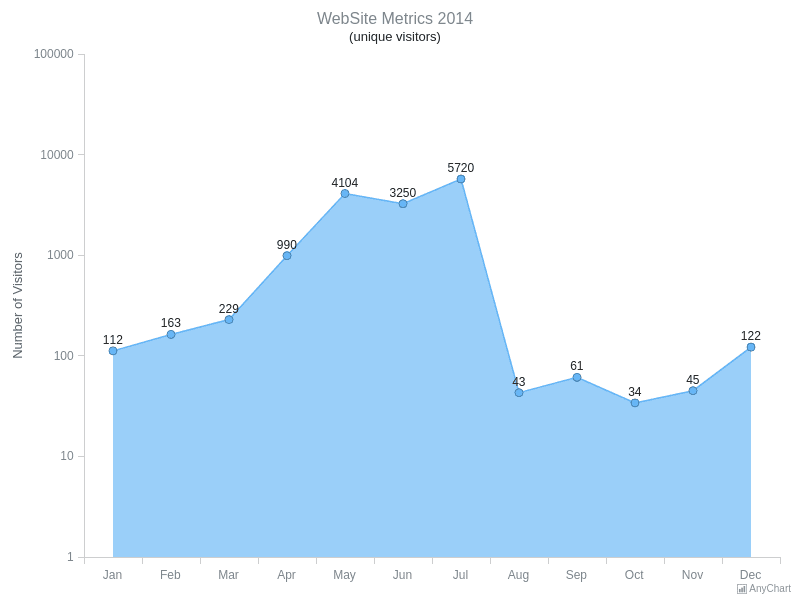 Single-Series Area Chart with Logarithmic Y-AxisSingle series area chart shows website metrics - number of unique visitors through the year. The number of visitors variate greatly, so a logarithmic scale is used to make the chart easier to read. Single-Series Spline-Area ChartSingle Series Spline chart shows temperature changes during one month. Spline with smooth angles puts accent to the fact that temperature changes gradually. 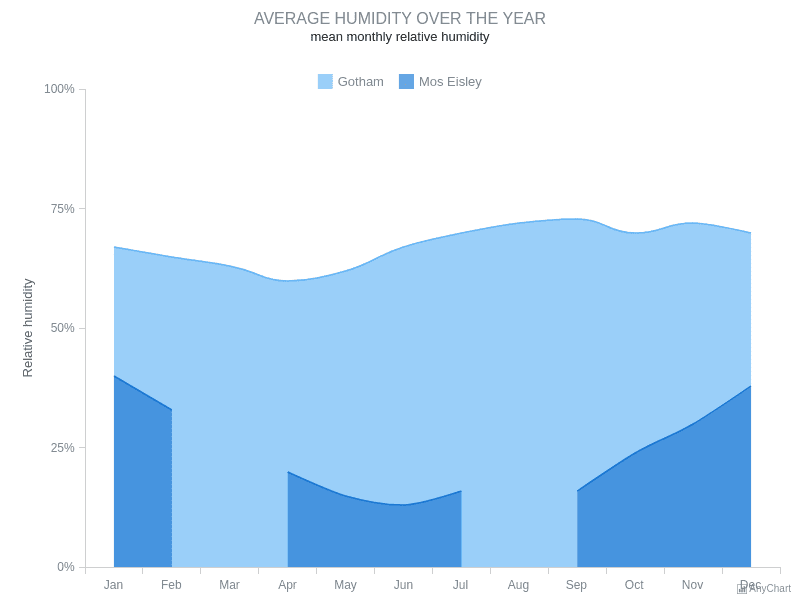 Spline Area Chart with Missing PointsSpline area chart compares average humidity changes over the year in two cities. Gaps in one of the series show missing data points in the data set. 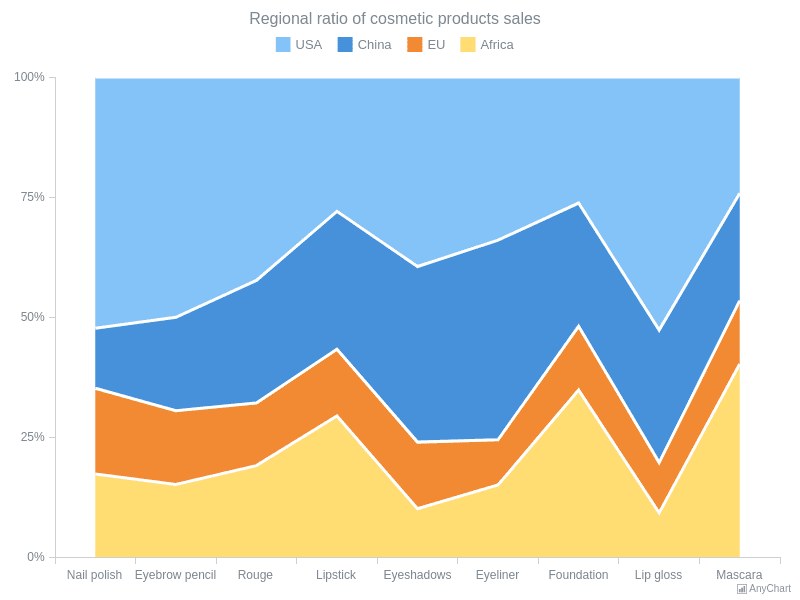 Stacked Area ChartStacked Area Charts with Region-wise sales information. Stacked mode helps to present data as a sum of a whole. 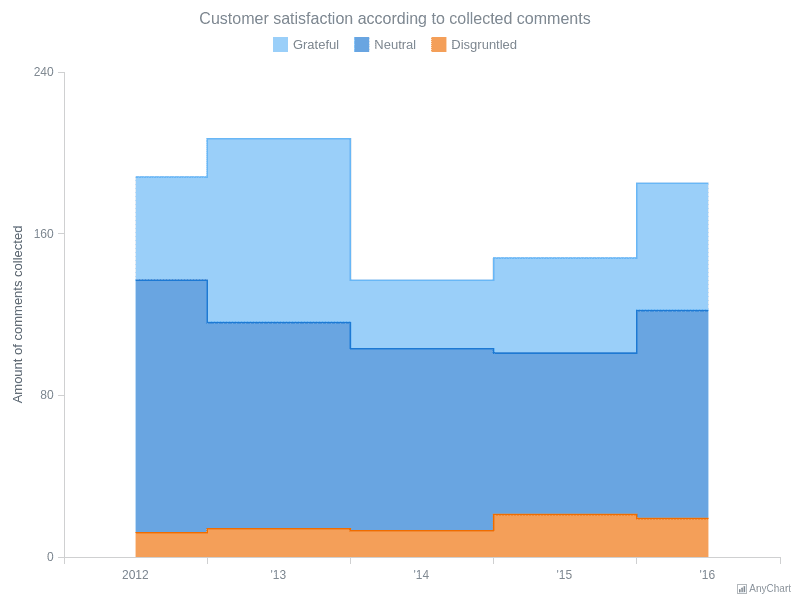 Stacked Step-Area ChartCurrent chart displays comments' statistic on a site. Stacked mode of the chart helps to display the comparison of the quantitative value each part of the category brings to the whole category.